Virginia “Ginny” Bragg Scott, 100, formerly of Conneaut Lake and a resident of St. Andrew’s Village, Indiana, PA died there Wednesday, August 15, 2018. She was born February 4, 1918 in Colona (now Monaca), PA a daughter of Anthony Leonard and Marie Cecelia Carnahan Bragg. She married Charles Edward Scott in New Cumberland, WV on July 28, 1937 and they enjoyed 61 years together before his death February 3, 1999. She was a 1935 graduate of Monaca High School and was in the Drama, French and Poetry Clubs. She was employed by Callaghan’s Pharmacy in Monaca as a sales and pharmacist’s assistant; at Cox’s Men’s Store in McKeesport as a cashier; at Conneaut Lake Park as a cashier and at Chilson’s Furniture Store in Conneaut Lake in sales. 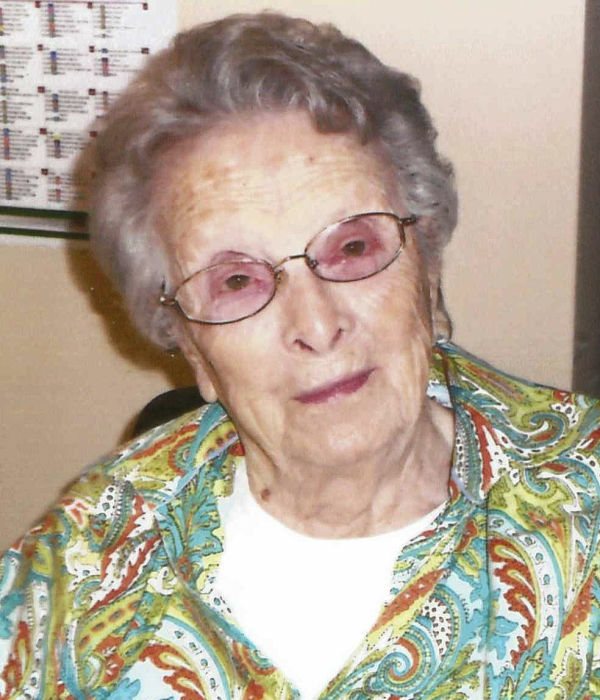 She was a member of the Monaca Junior Woman’s Club, the Port Vue Mother’s Club, the Port Vue Blue Rock Bowling League, the former Rebekah of the Lake Lodge #142, the Do-It-Yourself Club and volunteered at the McKeesport YMCA for 24 years. She enjoyed spending time with family, traveling, knitting and crocheting. She is survived by a daughter, Judith S. Reimer of Mentor, OH; a son, Gary E. Scott of Indiana, PA; a former daughter-in-law, Dr. Patricia Scott of Indiana, PA; five grandchildren, Michael K. Scott, Paul S. Reimer, Bethany Reimer LaMarco, Katherine Reimer Christenson and James E. Reimer; five great grandchildren, Mason, Ted, Hanna and Grace Reimer and Logan LaMarco; a nephew, Roger L. Bragg and his wife Tracy of Monaca and a great nephew, Connor Bragg of Monaca. In addition to her parents and husband, she was preceded in death by a brother, Leonard Anthony Bragg and an infant sister, Marie Bragg. Private services will be held for the family with interment in Lakeview Cemetery, Conneaut Lake.